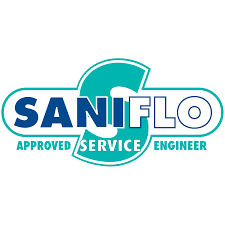 Thank you for accessing our Service at http://www.advancecare.co.uk and local Saniflo Repairs site. Please read this Agreement carefully as it governs your use of our Service. Do not use the Service unless you wish to be bound by this Agreement because, by clicking ‘Next’ during the sign-up process and/or continuing to use any part of the Service, or calling and asking our engineer to attend you confirm your acceptance of this Agreement. 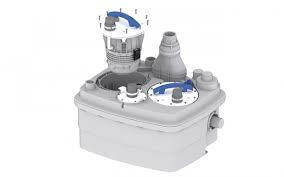 We are Advancecare.co.uk also trading as and known as national trade checker. Our office is at 174 Reigate Road, Bromley, Kent, BR1 5JW, United Kingdom. Where we refer to ourselves in this Agreement, this is also taken to include (where the context allows) our group companies, affiliates, and our and/or their employees, associated and contracted persons, and persons supplying services to us or them. You can contact us via our online contact form. The “Service”consists of engineers who are capable of giving you the required service and of the Website, our Apps, any pages we operate on third-party social media applications, and the content and services we make available through them via the internet, mobile devices including smart phones and tablets, and/or interactive television devices and services, together with the provision by us of associated information, products and services by e-mail, telephone, fax or mail. You agree to pay the fees for using the Service in accordance with the Payment Terms and as more specifically set out below. The fixed price service is offered to all domestic customers only and only with domestic type macerators and is only offered where our specific criterea is met as set out here. If you are dissatisfied with the Service, or the terms of this Agreement, your sole remedy under this Agreement shall be to discontinue use of the Service. In the event that your dissatisfaction arises due to an act or omission by us constituting a material breach of this Agreement, you may also claim a refund of the fees paid by you in consideration for the Service in the twelve months prior to the occurrence of the circumstances constituting such material breach. We reserve the right to terminate the provision to you of the Service or restrict your access to the Service at any time without notice for any reason whatsoever (provided that no further fees shall accrue for terminated Service after the date of such termination). Without prejudice to the generality of the above, we reserve the right to terminate the provision to you of the Service or restrict your access to the Website at any time without notice in the event that we suspect you to be in material breach of any term of this Agreement (which shall include, without limitation, where payments due from you are overdue by 14 days or more). We may vary the terms of this Agreement from time to time and shall post such alterations on the Website. If you do not agree to the changes made to the terms of this Agreement then you have the right to stop using Service, and should do so immediately. Your continued use of the Service after the date the changes have been posted will constitute acceptance of the amended Agreement. Accounts which are opened but remain unused result in wasted costs being incurred by us to support those accounts. In the event that your account remains inactive for a period exceeding 30 days, we may at our discretion give you written notice of our intention to discontinue Service provision on that account. If we do not receive confirmation from you that the account is required within 14 days of the date of our notice to you, and you have not re-commenced use of the account within a further 14 days, we may discontinue Service provision on that account and retain any sums which remain standing to it as at the date the Service is discontinued to cover our administrative and other costs.